So You Think You Can Mom? : 2014 Holiday Gamer's Guide! It's that time of year again! Time for fun and time for cheer! Christmas is just around the corner and I've compiled a list of some great video games for the gamer in your family. From Family Friendly to FPS, you're sure to find these titles a holiday hit! 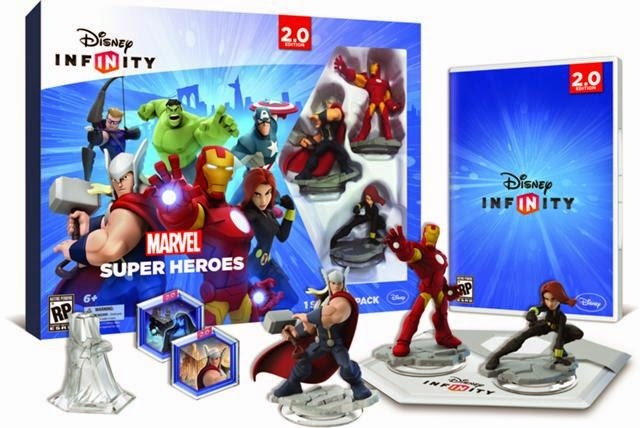 RATED E- In Disney Infinity: Marvel Super Heroes, players will use real-world interactive Marvel figures to activate original storylines (Play Sets) in the virtual game worlds of some of Marvel's most popular franchises, including The Avengers. In the Play Sets - penned by award-winning Marvel comic writer Brian Michael Bendis - players will be able to take on the role of more than 20 Marvel characters including Captain America, Iron Man, Black Widow, Thor, Hulk and Hawkeye to battle enemies, complete challenging missions, solve puzzles and ultimately save the world from destruction. RATED E- The best-selling LEGO Batman videogame franchise returns in an out-of-this-world, action-packed adventure! 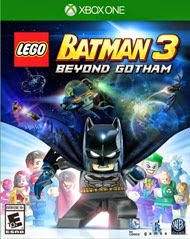 In LEGO Batman 3: Beyond Gotham, the Caped Crusader joins forces with the super heroes of the DC Comics universe and blasts off to outer space to stop the evil Brainiac from destroying Earth. Using the power of the Lantern Rings, Brainiac shrinks worlds to add to his twisted collection of miniature cities from across the universe. Now the greatest super heroes and the most cunning villains must unite and journey to different Lantern Worlds to collect the Lantern Rings and stop Brainiac before it's too late. 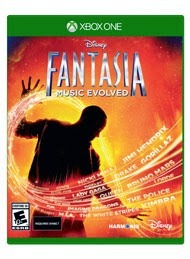 RATED E- Disney Fantasia: Music Evolved is a breakthrough musical motion video game inspired by Disney's classic animated film "Fantasia." In the game, players enter the magical realms of Fantasia, selected by the legendary sorcerer Yen Sid, to hone their musical and magical prowess as his new apprentice. Disney Fantasia: Music Evolved takes players on an interactive and immersive motion-controlled journey through worlds of music and magic. Designed by Harmonix, critically acclaimed creators of Rock Band and Dance Central and the world's leading music and motion gaming studio, players become the sorcerer's newest apprentice, exploring remarkable worlds and unlocking the magic within the music, with Disney Interactive's Disney Fantasia: Music Evolved. RATED E- Sonic Boom: Rise of Lyric on Wii U will be the first title on the console to utilise CryEngine. Sonic Boom will focus on the team uniting to fight Lyric, a giant snake-like creature from an ancient race. Serving as a prequel to the stories revealed in the TV series, Sonic Boom delivers a new Sonic experiences with collaborative gameplay at its core. Sonic and friends -- Tails, Knuckles, Amy, and the newest member of the team, Sticks -- will work together as they face their most powerful enemy yet: Lyric, a giant and monstrous snake-like creature from an ancient race. Together, they must prevent Lyric from powering his army of robots and carrying out his plan to destroy the world. 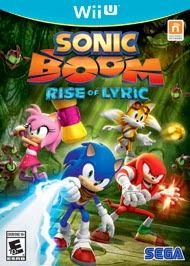 Sonic Boom: Rise of Lyric delivers a completely new action-adventure gameplay experience for Sonic fans. The detailed levels and emphasis on each character's unique abilities give players more choice in exploration as they work as a team to stop the deadly snake-like ancient villain, Lyric, before he can power up his army. Players will be challenged by over-the-top speed runs, but the heart of the game is focused on intense combat and brand-new abilities including the Enerbeam. This energy-charged cord can be used by characters to navigate the world like never before. Swing or zip-line across gaps, grab and throw enemies, take away their shields in combat, and explore alternate paths filled with lush environments and landscapes. RATED E- Serving as a prequel to the stories revealed in the TV series, Sonic Boom delivers a new Sonic experiences with collaborative gameplay at its core. Sonic and friends -- Tails, Knuckles, Amy, and the newest member of the team, Sticks -- will work together as they face their most powerful enemy yet: Lyric, a giant and monstrous snake-like creature from an ancient race. Together, they must prevent Lyric from powering his army of robots and carrying out his plan to destroy the world. 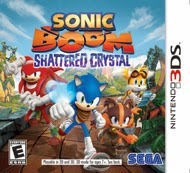 Sonic Boom: Shattered Crystal is a standalone adventure that shares key characters, events and lore of the Sonic Boom universe with exclusive environments and characters. For the first time ever, gamers will be able to take on the role of Sticks, the newest member of the team who will play an integral role in the story after her best friend Amy gets kidnapped by the ancient villain Lyric. While the Wii U version is focused on action-adventure and exploration, Sonic Boom: Shattered Crystal will place a bigger emphasis on platforming and puzzles. Additionally, unique collectibles featured in the Nintendo 3DS version will unlock special content on Wii U via Wi-Fi connectivity. 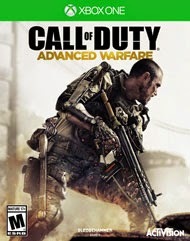 RATED M- Call of Duty: Advanced Warfare, developed by Sledgehammer Games (co-developers of Call of Duty: Modern Warfare 3), harnesses the first three-year, all next-gen development cycle in franchise history. Call of Duty: Advanced Warfare envisions the powerful battlegrounds of the future, where both technology and tactic have evolved to usher in a new era of combat for the franchise. Delivering a stunning performance, Academy Award® winning actor Kevin Spacey stars as Jonathan Irons - one of the most powerful men in the world - shaping this chilling vision of the future of war. RATED M- For the first time ever, The Master Chief's entire story is on one console. 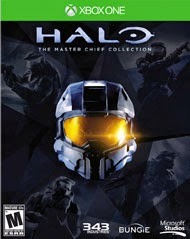 Featuring a re-mastered Halo 2: Anniversary, along with Halo: Combat Evolved Anniversary, Halo 3, and Halo 4, new digital series, Halo: Nightfall, and access to the Halo 5: Guardians Beta, this is the definitive Halo experience. RATED T- Everything changed with the arrival of the Traveler. It sparked a Golden Age when our civilization spanned our solar system, but it didn't last. Something hit us, knocked us down. The survivors built a city beneath the Traveler, and have begun to explore our old worlds, only to find them filled with deadly foes. 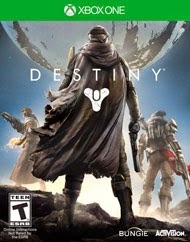 You are a Guardian of the last safe city on Earth, able to wield incredible power. Defend the City. Defeat our enemies. Reclaim all that we have lost. Be brave. RATED E- Kaos has blown up the walls of the feared Cloudcracker Prison, freeing the most notorious villains in Skylands. 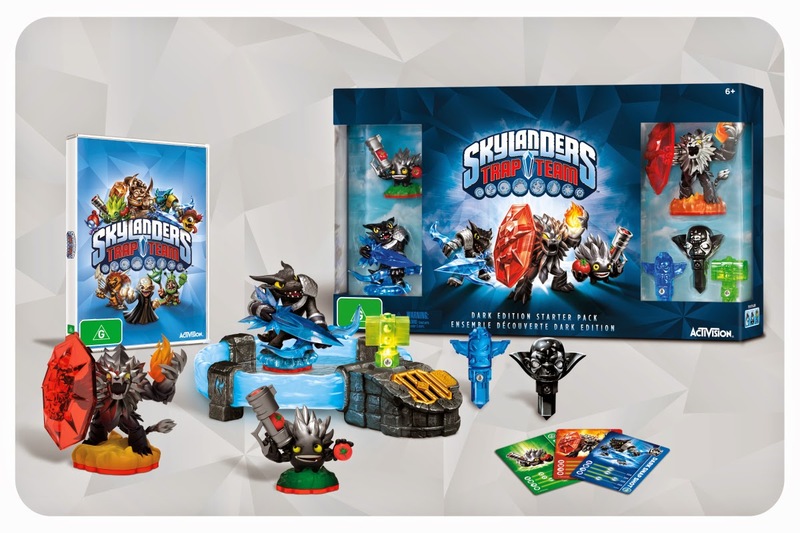 It's up to you and the Skylanders to find and capture them. Using Traptanium, a magic material that can harness the power of the Elements , you have the amazing ability to trap the villains and return them to Skylands to fight for you! Begin the ultimate adventure as you explore Skylands in search of the escaped villains! RATED E- Mario! Link! Samus! Pikachu! 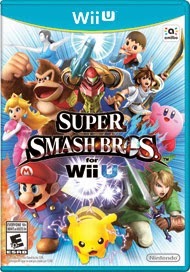 All of your favorite Nintendo characters are back, along with plenty of new faces, in Super Smash Bros. for Wii U, the next entry in the beloved Super Smash Bros. series. Up to four players can battle each other locally or online across beautifully designed stages inspired by classic Nintendo home console games. With a variety of control options and amiibo compatibility, the timeless Super Smash Bros. battles come alive. Disclosure: I was not compensated for this post. I was offered sample copies of select titles for inclusion in this guide. These are just my two cents!